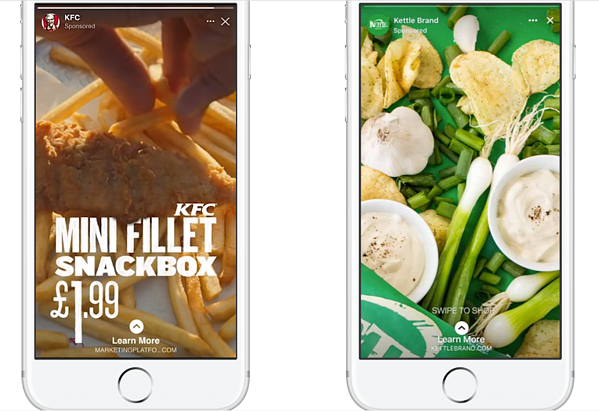 Facebook Stories ads are now available to advertisers all around the world. Story ads were first introduced on Instagram in January 2017 and began testing Facebook Stories Ads in May of this year. Since Facebook started testing story ads in May, the number of people viewing Facebook Stories daily has grown from 150 million to 300 million. This is a massive success since Facebook Stories Ads were only introduced as a limited test to three countries. Facebook Stories Ads are projected to be a major new revenue source for marketers. Stories are where people share and discover any content they care about in fun and fast ways. Stories also help marketers reach more people and inspire people to take action. Users like and engage with Stories so much because they can easily engage with content and understand at a glance. Facebook Stories ads can be purchased with ads in Instagram Stories or ads in feed. And can be included as an additional placement to the News Feed or any Instagram Stories ad campaigns. They will include Facebook’s usual audience targeting, optimization and measurement capabilities — and will be available in Messenger soon to help you reach and improve the performance of your stories ad campaigns. 73% of people in the US agree stories enable them to experience new things outside their everyday lives. 65% of people in the US say stories help them feel closer and more up to date with friends. 57% of people in the US say stories make them feel part of a larger community. 62% of people in the US say they plan to use stories even more in the future than they do today. Those stats speak for themselves....If you're looking to drive real business results and increase your revenue, stories ads is a good place to start.